I have a confession to make: I have lust in my heart for Agnes. Don't tell Helena (or the Blue Moon), but it's true. I have gripped Agnes' tiller, walked her deck, felt her move gracefully beneath my feet, and I am a changed man. 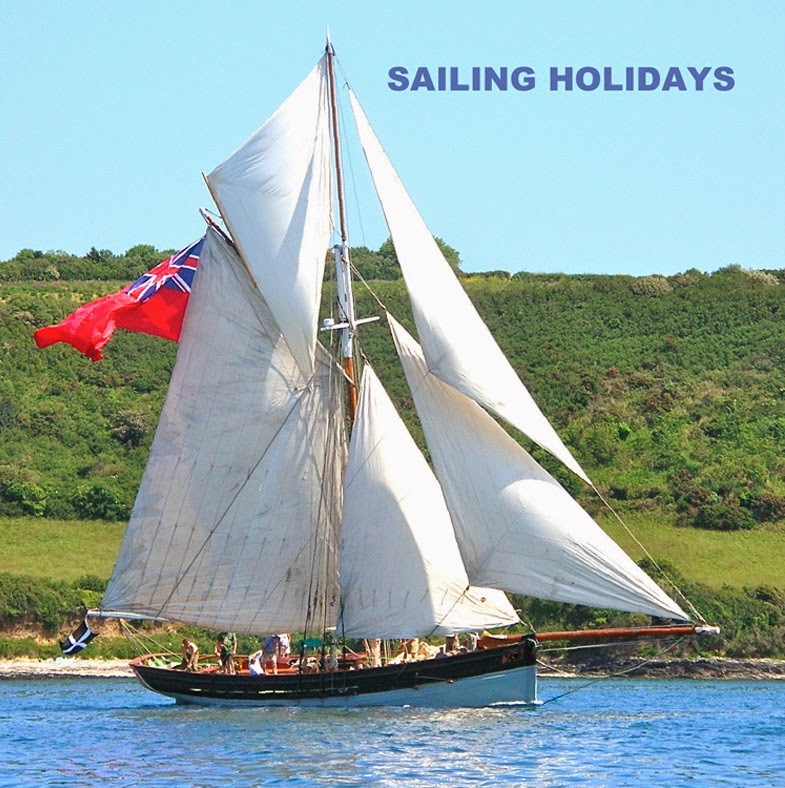 Agnes is a faithful replica of a Scilly Island Pilot Cutter, built by Luke Powell, our captain for the voyage. Pilot cutters are single-masted sailing boats, fore-and-aft rigged, with two or more headsails, and usually a long bowsprit. They were built to speed maritime pilots out to large ships entering and leaving the ports of England, and because of the competition for such lucrative work, they gradually evolved into very special boats. Noted sailor and author Tom Cunliffe has described them as 'the best sailing boat design ever', because they were fast, highly maneuverable, and still easy to handle by her normal crew of two. I can only agree with Tom. For sailors used to looking at light-displacement, fin-keel boats, pilot cutters might look like dinosaurs out of the past. With their old-fashioned, long, deep keels, you would think they must be slow and un-maneuverable. 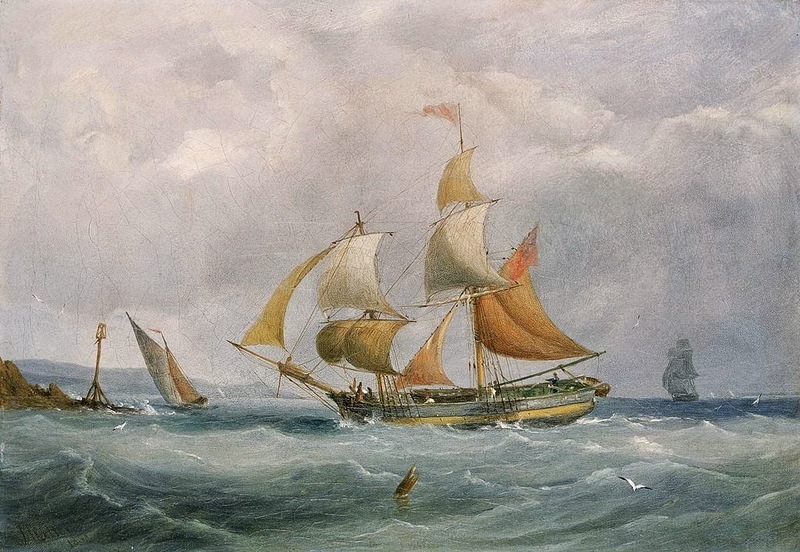 I myself thought Agnes might be a bit slow and stodgy, but my eyes were opened our very first day out, setting across the English Channel for France. The winds were very light and we were hard on the wind, trying to weather a point. The other boats headed our way -- modern fiberglass jobs -- all had their engines running. Luke, however, was having none of that. "This is a sailing boat," he said. "Not a power boat." Instead of turning on the engine (which he had turned off before hardly clearing the Newlyn breakwater), Luke had the crew (us!) hoist sail after sail: Main, foresail, jib, topsail, and finally, the flying jib. I don't know what her total sail area was by that time, but it was a lot. Probably twice what a modern 46-footer would hoist. The results were astounding. The breeze over the deck was about 5 knots, and we were making 3 knots. To windward. There was only one word to describe it: witchcraft. I could go on, but I can't do better than Luke himself, featured in this 15 minute film. But be careful: by the end, you may be feeling a bit of lust, yourself. You can view the video full-screen by clicking the full-screen button in the lower right corner of the video. If you are interested in sailing with Luke and Johanna, you can find all the details on their website. Book early. They fill up their pilot bunks fast. Tell them John & Helena sent you. I share your love for these Vessels. I enjoyed the Video. Thank you. You have "renewed" an old lust of mine, but at 72 it is a bit late to undertake such a build. Thanks John. Tis a lovely boat indeed ! I think such a build would be beyond pretty much everyone!